Tell us your neighborhood/cross streets & your budget for walks and we'll come up with options for you! We understand the stresses and challenges of having a dog in New York City, and created Fur Coat and Pants to solve those challenges. 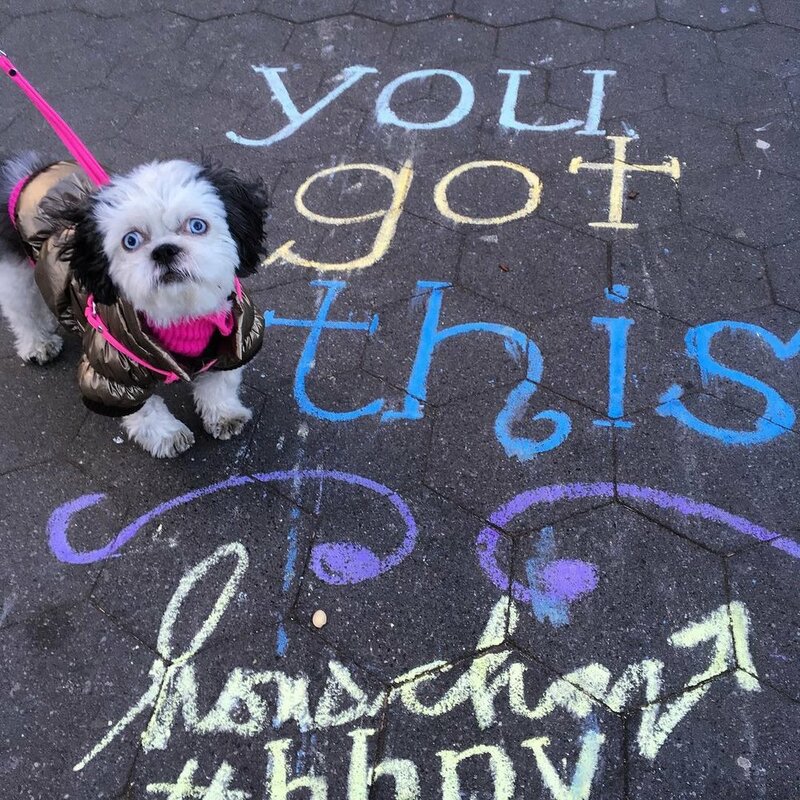 We offer the very best GPS app based dog walking- and we offer it on an on-demand basis (when you need it) seven days a week throughout New York City to fit your fast-changing needs. Our trained, vetted, professional walkers go above and beyond what the app-based dog-walking companies offer- we get to know your dog, keep walks to one compatible buddy (or one-on- one if needed), and use best practices for pet safety, with an emphasis on making your dog’s care safe, fun and easy. Going out of town and can't take your pet? We've got you covered, with overnight secure care in your home. One of our trained, vetted professional pet care providers will stay with your pet, providing attentive care directly in the home. We'll handle feeding, play, walks and special needs so you can enjoy your travels without worry! We arrange daily visits tailored to your schedule to work on developing potty training, socialization and leash etiquette- both before and after we get the green light to go outside! We help puppies build confidence and skills that include learning to avoid street treats and safe street walking. Always stay in the loop about your dog's walk routes with our GPS tracking reports delivered to you after each walk. Our dog walkers use a secure system that sends you an email alert when your dog’s walk begins and ends, as well as a GPS map tracking the walk. You can also request additional dog walking services and manage payments through this system. We have dedicated neighborhood dog walkers and all dog walks are done within a pick-up window that we meet daily. No more wondering when or where your dog was walked—it's all sent to you in real time. Our dog walkers are in tune with your dog, not their phones. There’s no talking, texting or listening to music on your dog’s time. Our walkers are vetted, trained professionals (freelance writers, artists and PhD candidates, to name a few) who also love animals and provide care based on your dog's specific needs. 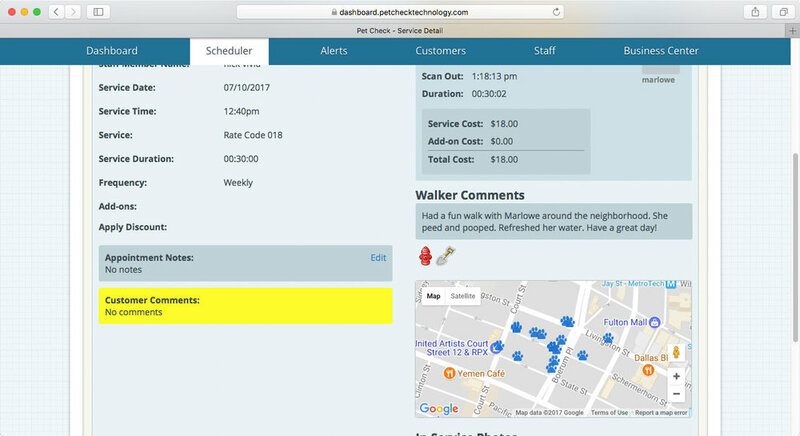 We fill you in with details from each visit, with notes about your dog's walk, including a potty report. Our care is based on individual dogs, and it shows in our care and in the informative and helpful information you receive after each interaction with your dog. Our Pet Check payment system is easy and secure. With automated billing, all you need to do is enter your payment information once. Each Sunday you will be charged for the previous week's walks. Scheduled walk cancellations must be made by 5pm the business day prior. Overnight service cancellations must be made 48 hours in advance. *Current vaccinations: Rabies, Distemper, Parvo and Bordatella. Front line or equivalent flea protection is required. Fur Coat and Pants is a licensed and bonded company under owner management in New York City with GPS walk reports and professionally trained dog walkers. © 2009-2017 FUR COAT AND PANTS | This website is powered by incredible dog walking.